Golden Boy : 8 ounces; deep golden fruit, few seeds. Low-acid, mild flavored fruit with a globe shaped. 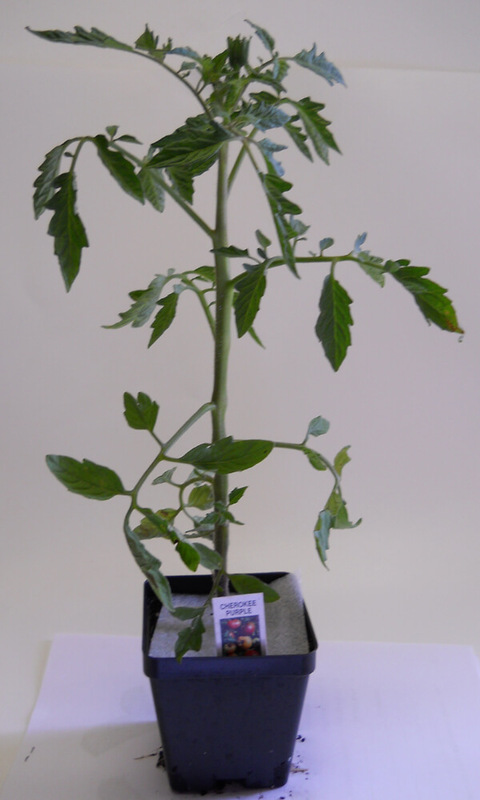 Jaune Flamme Tomato Plant : Heirloom that originated with Norbert Perreira of Helliner, France. Early crops of apricot-colored 4 ounce fruits. Excellent fruity flavor with a perfect blend of sweet and tart. Great for drying or roasting, retains deep orange color. Kellogg's Breakfast Tomato Plant : 1 lb., pale to deep orange beefsteak tomatoes originally from West Virginia, that are thin-skinned, meaty, have few seeds and a fantastic sweet, tangy flavor. Juice and inside flesh have the same bright orange color as orange juice. Kellogg's Breakfast is an indeterminate variety. Pineapple Hawaiian Tomato Plant : A large, golden-orange beefsteak with fruit that that grows up to 1-1/2 lbs. When fruit is ripe it has a lucious, very rich, sweet pineapple like flavor. Yellow Pear Tomato Plant : This plant produces huge, bushy plants that yield very large quantities of 1 oz., 1 1/2-inch, bright yellow, pear-shaped cherry tomatoes that will give you fruit until frost. The tomatoes of this yellow pear tomato variety are zesty sweet and delicious. A beautiful salad or snackin' tomato. If you are growing several colors of cherry tomatoes include this one. A great tomato choice for a patio or planter garden. A good producer even in cooler coastal regions.